The Humanism and Excellence in Teaching Award (HETA) recognizes outstanding humanistic teaching residents as identified by their students. Third year medical students select up to six residents to receive The Arnold P. Gold Foundation Humanism and Excellence in Teaching Award, based on their exceptional teaching skills and commitment to the compassionate treatment of patients and families, students and colleagues. Each award winner is presented with a certificate and a specially designed gold lapel pin from the Gold Foundation. Traditionally presented at the Student Clinician’s Ceremony (SCC), the HETA award may also be presented as part of the Gold Humanism Honor Society (GHHS) induction proceedings. The Student Clinician’s Ceremony was designed by the Gold Foundation to provide guidance, information and support as medical students transition into their clinical years. The event is student-led and executed by second and third year students with the assistance of a faculty mentor, and aims to address some of the anxiety felt by students entering their clerkships. 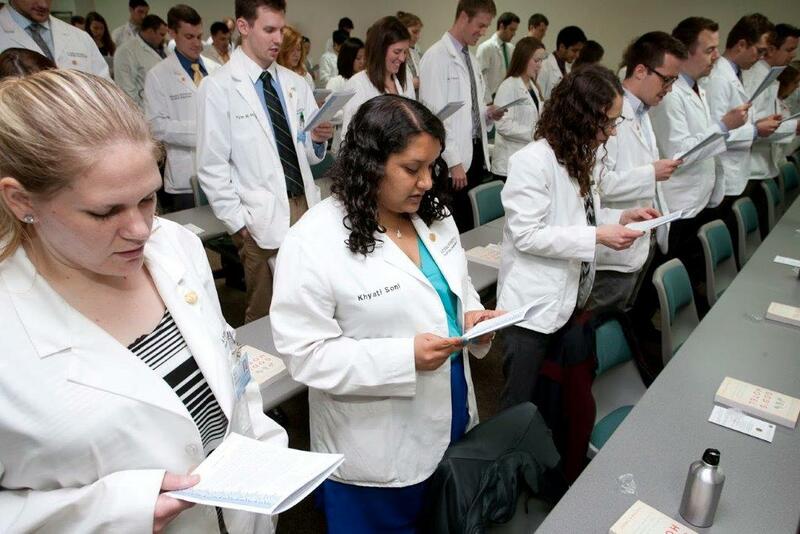 By providing insight, discussing fears and expectations, and revisiting the oath taken during the White Coat Ceremony or another oath, the SCC provides a forum for collective and reflective discussion of the students’ experiences. The ceremony also underscores the challenges and imperatives to providing compassionate, collaborative and scientifically excellent care to patients at a time when medical students are under intense pressure to perform at a high level. Consistently cares for patients with compassion and empathy. Serves as a role model – illustrates professional behavior by example – for students and colleagues. Is approachable and accessible to students, welcoming opportunities for teaching and one-on-one mentoring with students. Exhibits enthusiasm and skill in professional and personal interactions with students. Shows respect for everyone he/she comes into contact with. Demonstrates cultural sensitivity in working with patients and family members of diverse backgrounds. Displays effective communication and listening skills. If your school does not yet participate in this program and would like to, please contact Ian Finisterre, Assistant Director of Programs, at ian@gold-foundation.org.